Effective against motile protozoa such as Trichomonas, Hexamita, Canker, Giardia, and Cochlosoma, in African Greys, Macaws and other large birds. Ronex 6% a water soluble, water stable chemical that has extremely high safety margins. It can be used at any stage of the birds breeding cycle to combat Protozoal infection. Canker/Cochlosoma is the most commonly encountered Protozoal disease in aviculture. It can devastate finches and canary breeding flocks and is a significant disease in exhibition canaries. The classic “cankers” (large yellowish masses in the throats and crops of birds) are the “tip of the iceberg” when it comes to the disease. Many other effects are seen from Trichomonads. Sign of Protozoan infection: diarrhea, yellowish/green droppings, undigested seed in droppings, dirty feathers around the vent, molting problems and sleeping during the day, head tucked over their wing feathers. It is best to treat your birds before the breeding season. 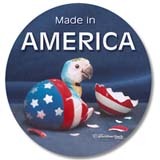 Protozoan infections are very serious and common cause of hatchling, young and adult bird deaths. These single cell parasites are present in most birds kept in captivity and become active during stressful periods such as during the breeding season. 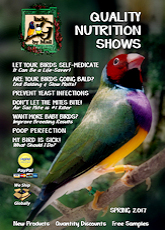 Because Protazoa are persistent organisms, and in many cases infections can only be controlled and not eradicated with the use of drugs regular treatments need to be part of any aviary management program. 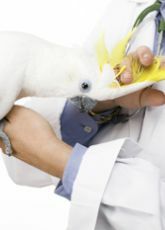 New introductions and birds in quarantine should be routinely treated at recommended rates. Dost rate: Mix ½ teaspoon in two quarts of drinking water for 7 days. Budgerigars, Fancy Pigeons and other avian species-treat for 7 days 4 times per year. Pigeons: Racing season – treat for 7 days every other week. Pigeons: Breeding season- treat parents for 7 days prior to joining then medicate for 7 to 21 days when young birds hatch. 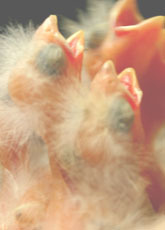 Ronex is safe for breeding parents and young baby birds. Made up Ronex-6% solution may be kept in the refrigerator for up to 7 days. Empty and refill drinking water containers with medication daily. Remove all other water sources when treating. This product is not intended or approved for stock whose meat or eggs are intended for human consumption. Consult your veterinarian for authorization and supervision in administering this or any antimicrobial medication. SALE! 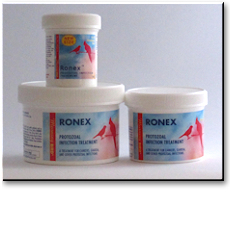 Ronex 6% - Treatment of choice for African Grey’s, Macaws, large birds suffering from protozoa infections including Canker, Giardia, Cochlosoma,Trichomoniasis and Hexamiter. In-water medication, it has extremely high safety margins. It can safely be used at any stage in the birds breeding cycle. Best Value! Plastic Spray Bottle with Measurments- Lady G's 16oz spray bottle has both US and Metric measures, as well as dilution measurements. Comes with both a sprayer and a cap making it ideal for mixing, applying and storage. This bottle comes labeled with a handy conversion chart and space to fill in contents, date, dosing instructions. Perfect for medications, bug sprays and all other concentrates. ...it's possible but not easy. Supplies, schedules, formula, brooder, hygiene and weaning.